SANTA MONICA, Calif., June 21, 2016 /PRNewswire/ — SonoSim, Inc., a leading global provider of ultrasound education and training, and GE Healthcare officially announced expansion of their collaboration to now cover ultrasound training and education for GE Women’s Health and Urology Divisions. 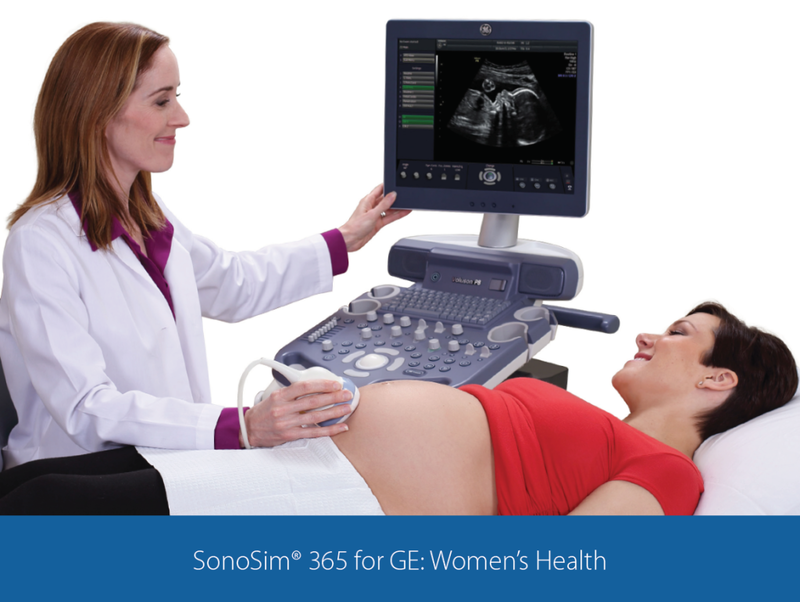 Following on the heels of a successful inaugural launch last July with GE Healthcare’s Point-of-Care Ultrasound division, SonoSim® 365 for GE Healthcare will now also be offered to Women’s Health and Urology clients with qualifying ultrasound systems. This collaboration will accelerate the adoption of bedside ultrasound by medical practitioners by eliminating a historical barrier to its use, the difficulty and complexity of training users. The SonoSim® Ultrasound Training Solution is a portable, virtual ultrasound training experience that utilizes real-patient cases with a broad spectrum of normal and pathologic conditions. SonoSim® 365 for GE Healthcare delivers easy-to-use and proven-effective ultrasound training through integrated didactic instruction, hands-on training, and knowledge assessment. With over 60 SonoSim® Modules to choose from, GE Healthcare customers can customize their training solutions from a wide range of ultrasound topics and can obtain continuing medical education (CME) by completing CME-accredited SonoSim® Modules.